The good news is that the cheapest Haswell-E processor is only a little more expensive than the most expensive Haswell CPU. While this was true of SB-E and IB-E, the cheapest CPUs for those were quadcores, but the cheapest Haswell-E is still a 6-core. This means that there is an actual benefit from upgrading from Haswell to Haswell-E – at least when it comes to multi-threaded performance. However, lightly-threaded application performance (i.e. playing games) does not improve, as the underlying architecture is still the same, and the frequency has not gone up. Haswell-E’s 8-core, $1050 wallet-shrinker, the i7 5960X, is now the recommended CPU in our Monstrous tier, as expected. But that’s not all: Getting a true 6-core for only $50 more than Intel’s hyperthreaded quadcore makes it logical for us to add both of the 6-core Haswell-E chips to the Extremist tier, too. 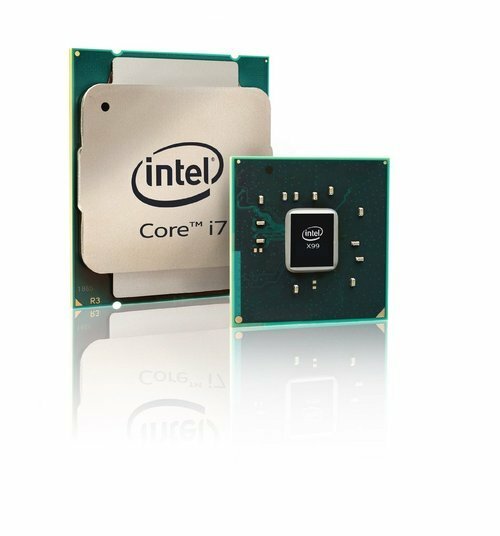 You’ll find both the i7 5820K and i7 5930K in that tier now, meaning that all three of the new Haswell-E CPUs make it to our table. The motherboard and RAM sections for those tiers have also been updated. As the Haswell-E ecosystem is barely a few hours old, there are no detailed motherboard reviews available yet. There are several previews (or launch reviews) of most X99 motherboards from major companies, so we can choose motherboards based on features, power management, company track record, etc. The problem is that many of these “launched” motherboards are not yet available for purchase, so we need to check what is available and choose from that. Once better options are out (and reviewed), we can then change our recommendations if needed. What about the availability of DDR4? It is not terribly exciting. 2133 and 2400 speeds are already available for DDR3, so the you end up paying more money just for the slightly decreased voltage. When DDR3 was launched, it launched with 800 and 1066 speeds. In time, 1333 and 1600 became the norm, and it should be the same with DDR4: In time, “standard” speed will be 2800 and 3000. That may have a performance impact, but for now, you buy DDR4 because Haswell-E only supports DDR4. The USA guide has been updated to include Haswell-E. Once these CPUs are available in other countries (and if the price is reasonable), they will also be updated, along with matching motherboards and RAM.